The Annual General Meetings for the Alumni Association and the Alumni Foundation will be held at Esquimalt High School’s Theatre on November 19, 2018. The Alumni Executive has decided this year that we will not do any formal fundraising. If you wish to make a donation to the Esquimalt High Scholarship Fund or the Esquimalt High Turf Field Fund you can do so by making your cheque payable to the Greater Victoria School Board and note on the memo line of your cheque what the donation is for. Donations of $20 or more will receive a tax receipt. Please mail your donation to the address below. 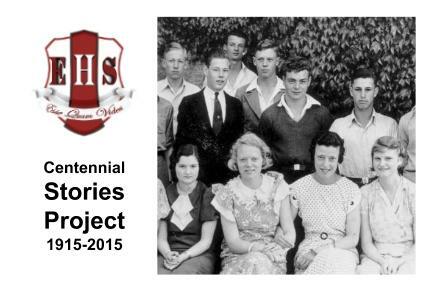 Tell your story about your memories of your time at Esquimalt High School. To find out more about how, click here or send us your story now using this online form.